Guinea is one of the poorest countries in Africa, with approximately 12 million inhabitants in 2013 and a Gross Domestic Product per capita of 523 US dollars. More than half the population lives below the poverty line and about 20 percent live in extreme poverty. The country ranks 178th of 187 countries classified by the United Nations Development Program Human Development Index. Despite the progress made in the past decades, health outcomes remain poor compared to other countries in Africa, and the country suffers from a shortage of human resources for health, most of whom are concentrated in the capital. Around 60% of health workers are found in Conakry, which accounts for approximately 20% of the country’s population. Service utilization remains low due to financial barriers and the perception that quality is weak at all levels of the health system. In this already fragile situation, the 2014 Ebola epidemic further weakened the health system. Guinea suffered enormous social and economic consequence as the disease caused thousands of deaths (including many frontline health workers) and drained significant resources. With its resources stretched thin, the health system is unable to adequately provide necessary services. Consequently, treatment for diseases such as measles, malaria, and cholera has been disrupted. The epidemic also exposed a genuine mistrust of the public health system in many areas as communities refused to be treated in public health facilities, fearing that medical professionals were the source of the illness. In response to these issues, the MOH developed the Plan de Relance 2015-2107 aimed at strengthening the health system to be better able to respond to Ebola and other crises. This plan, which is in effect for the first three years of the 2015-2024 National Health Development Plan, was developed in full coordination with national and international partners in response to the Ebola crisis and shapes the priorities of the MOH and partners. Addressing the weak performance of the health system and improving the country’s health status is one of the defined priorities and require tackling the root problem of poor health governance at all levels of the health system. HFG support will focus on governance and institutional strengthening of the MOH at the national level in order to build a more transparent and efficient health system. Under the Ebola Recovery Strategy, the HFG activity is aimed at rebuilding the health system not only to improve capacity to provide better health services, but also to be able to better respond to crises. It is at times of crises that health systems are most stressed. Health systems that are resilient and have public trust will be better equipped to respond to health emergencies. 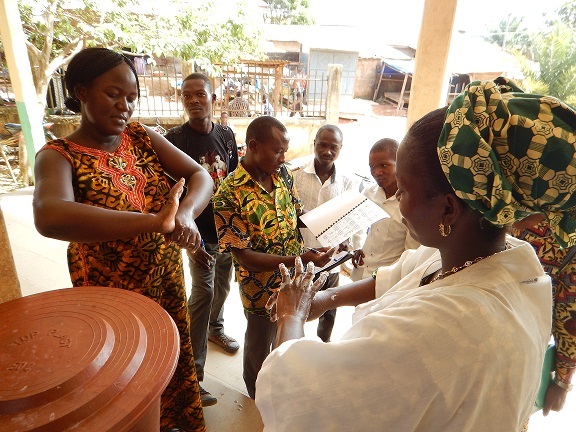 The HFG scope of work for Guinea targets four areas of health systems strengthening – institutional strengthening, governance, financing, and human resources for health – all of which are building blocks for a functioning health system. HFG will work with the MOH to address the systemic and specific financial management weaknesses to ensure effective use of government resources and build trust with partners. Better financial management performance should lead to an eventual resumption of direct financing and a more efficient use of available resources.